Our mission is to help you live a full, vibrant & healthy life. 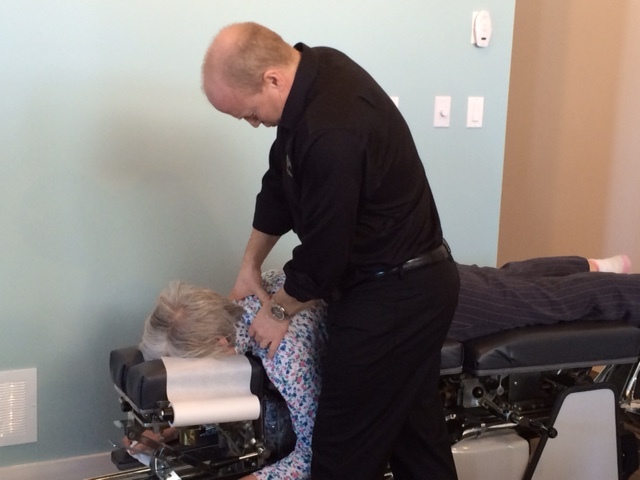 Rogers TV interviews Dr. Thomson at Better Life Chiropractic's new location. For more information or to schedule an appointment with Dr. Darryl Thomson, call (705) 526-6600 today! Dr. Darryl Thomson is a chiropractor serving Midland and the surrounding area. The welcoming team at Better Life Chiropractic is committed to providing chiropractic solutions to address your unique needs, whether you are experiencing back pain, neck pain, headaches, or even muscular tightness and tension. You may be searching for pain relief after an accident, experiencing an injury, or if you suffer from a specific condition like chronic back pain or a spinal condition. Even if you're looking to improve your overall health, we can help you attain your everyday wellness goals! The best news of all is that chiropractic is an all-natural, drug-free therapy. Visit our testimonial page to find out what our patients are saying about Better Life Chiropractic and our chiropractic care plans. Our number one goal at Better Life Chiropractic is to help you feel better as quickly as possible by finding the cause of your pain and correcting it completely so it never returns. Dr. Thomson will explain how chiropractic care works and give you a full evaluation to see if our chiropractic solutions are a good fit to address your needs. We will customize a plan of chiropractic care for your specific condition and health goals. Our awesome team at Better Life Chiropractic is very passionate about looking after the health of our patients, their families and our community. We want everyone in our community to experience the healing power of chiropractic so they can have a full, vibrant and healthy life. If you have not been to a chiropractor before and want to find out more, please Email Us at [email protected] or call (705)526-6600 to receive the answers to your questions from our experienced team. My neck, one day, overnight, became very stiff and hard to turn left or right. It was terribly uncomfortable. After several treatments, my neck loosened up a fair bit and went from feeling like I needed a brace to being much more flexible and now I am able to turn my head back to look behind me much more easily." "My neck and shoulders were always sore especially in the winter because of snowmobiling. I also had sciatica and back pain. I no longer have any pain. I have no restrictions and have good mobility to stay active." "So Much More Than Help for My Neck Pain!!! I was experiencing neck pain and decreased range of motion in the neck. My fear was that I would lose my ability to drive because I could not turn to check my blind spot. Chiropractic care with Dr. Thomson and his team has remedied that! I no longer have neck pain and my range of motion is greatly improved. I continue my chiropractic treatment for overall health. I have an incredible immune system and never get colds or flu and I have been able to decrease my cholesterol medication. This clinic is a comfortable and warm experience!" I was experiencing painful sciatica. I am now 80% better and I can do many things without suffering, including walking and other forms of exercise. I feel physically and mentally stronger! Doctor Thomson has made my care affordable and I look forward to coming to the clinic. Everyone is friendly, they feel like my friends. I love the massage chairs. Best thing ever except for Dr. T!" Once I heard the reason for Dr. Darryl on how the spine works and what he could do for all of us not just me. I started to listen closely but not completely convinced. I did want to give him a try because at this point I was now looking for someone to help me do more in a day than what I was doing right now. I have been in a positive attitude, doing better every day not completely pain free but being able to allow myself to do more in one day. I have been able to get on my peddle bike. I haven't done this in years. I was so proud of myself." "Also, the positivity in this clinic is so helpful and when you walk in, not only do they call you by name, you’re in and out quickly. They do x-rays to show and explain what is actually going on and your meeting new people with other ailments that make you think you have nothing to complain about. Appointments are always made to make life so much easier on us. I am so glad I found this clinic and I have a way to go but I will continue to think of my body and my health first but the first place to do this is to continue seeing Dr. Darryl. I would like to thank the entire staff at the better life chiropractic clinic for the year I've had and looking forward to yet another year of improvements." "Dr. Darryl and his team have changed my life since starting my treatments. When I attended my first appointment I was in agony. I couldn’t touch my knees and my body hurt all over. That was in the fall of 2016 and now I feel so much better, my knees don’t hurt anymore, and my aches and pains have been reduced to once in a while! My quality of life is much better and knee surgery is out of the picture for now! I can’t thank the Better Life enough! ♥️♥️♥️♥️ Let them help you, you will be glad you did!!" "After having a fall, I was left with a debilitating back injury. My partner encouraged me to meet Dr. T, and although I was hesitant, I began chiropractic treatments. After just one month, I began noticing a difference in my ability to do every day activities. 18 months later, I continue with my weekly treatments and I am able to continue with my life with almost no restrictions. I highly recommend and believe in Dr. T. The staff are amazing, always greeting you with a bright smile! Thank you, Better Life Chiropractic!" "I came to Better Life Chiropractic with severe back pain. After 3 months the pain is gone! I can walk without a cane. All of my original symptoms are gone! I didn’t want to be in a wheel chair. I am very grateful to be able to walk pain-free again." "I came here a year ago with pain in my neck that I'd had for years! I am now pain free and I’m so grateful for everything. Now I have a happy pain free life."